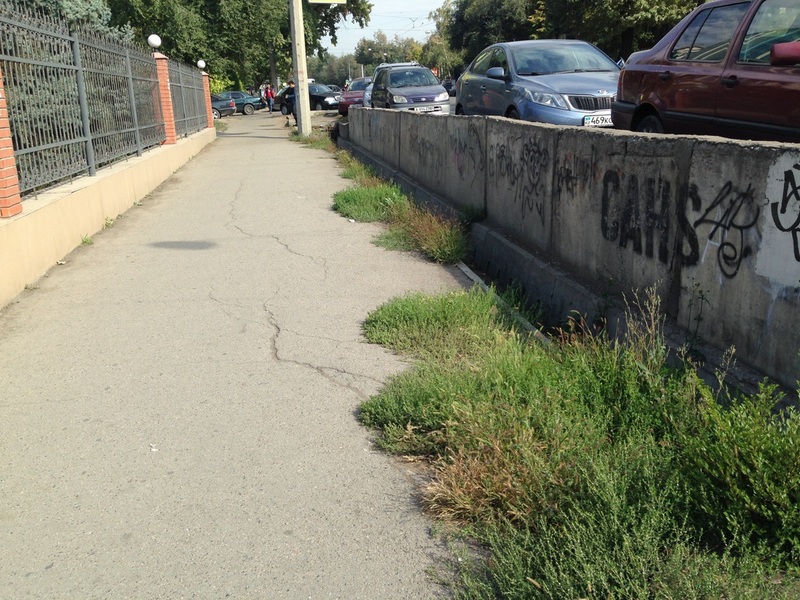 I was on a walk with my students once when I was trying to get them to tell me the Russian word for "weeds." They were lost. 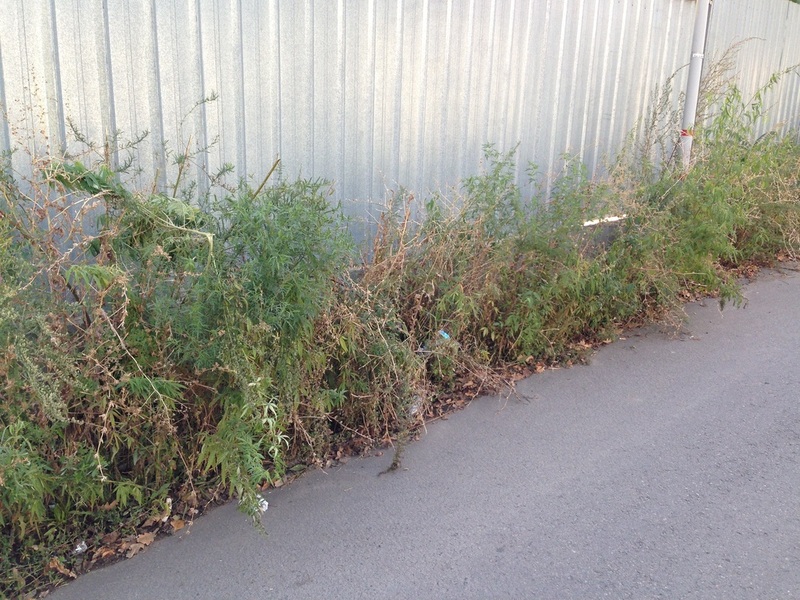 "Weeds are like plants" I explained, "plants that nobody wants." Their brows furrowed and then dropped in disappointment. "But...why doesn't anybody want them?" 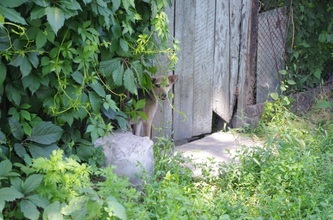 they asked, as if I had told them about orphans or puppies at the pound. 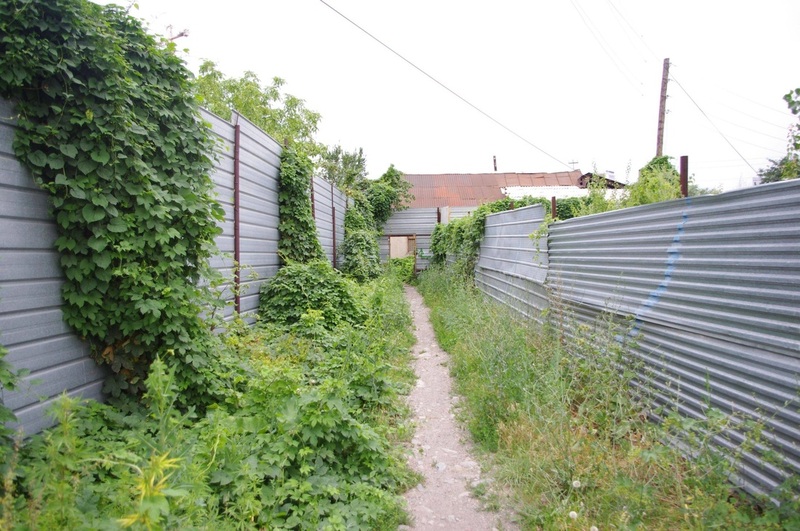 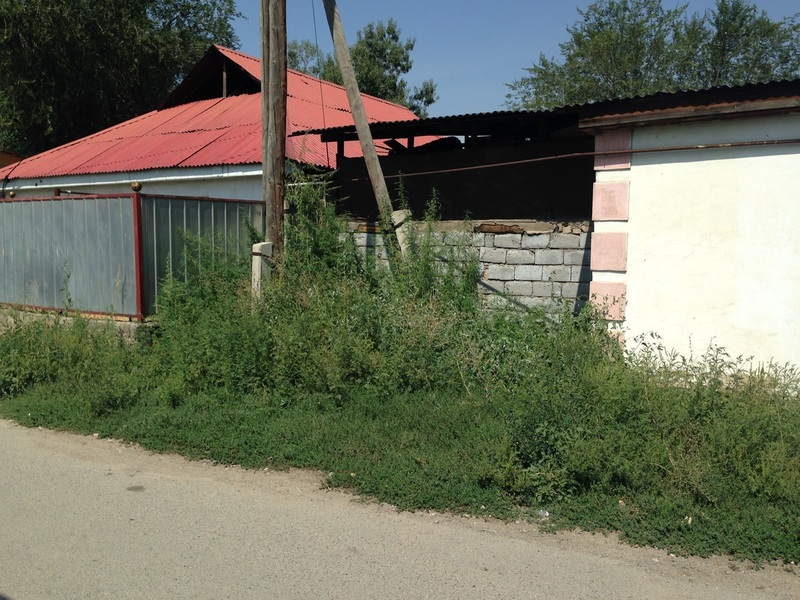 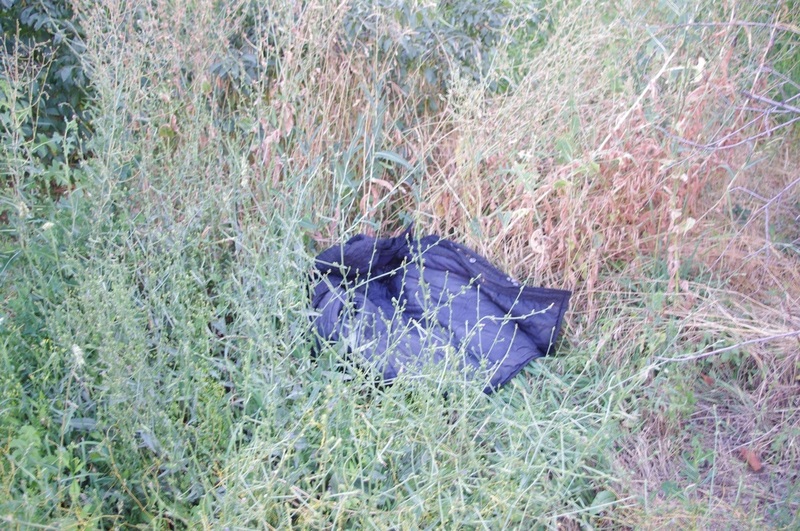 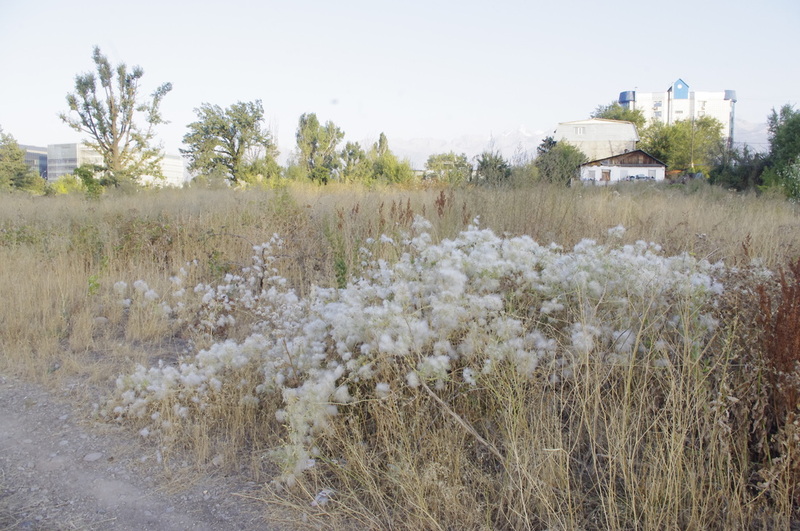 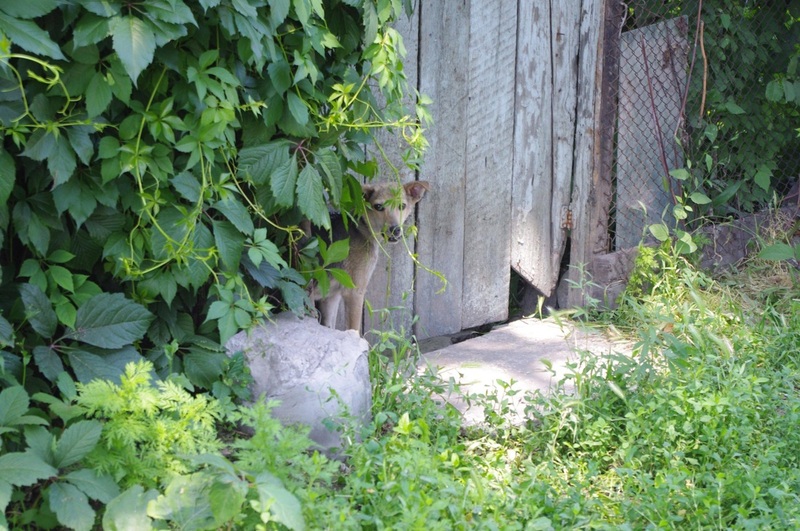 At that moment, of course, we were surrounded by weeds, Almaty being eminently scruffy, and I felt like I had called for the murder of all my neighbors. 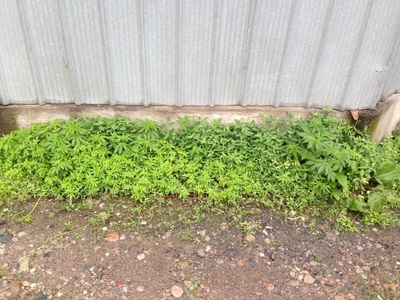 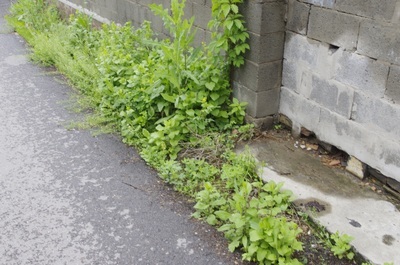 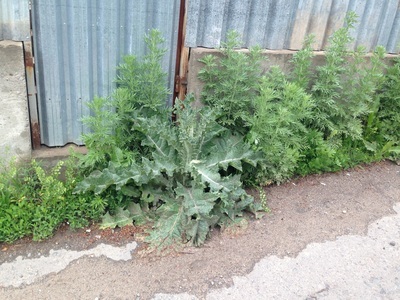 A gardener might take issue with my naivety, but sometimes I think weeds deserve a reconsideration. My students certainly couldn't understand what was so wrong with some unplanned green here or there. 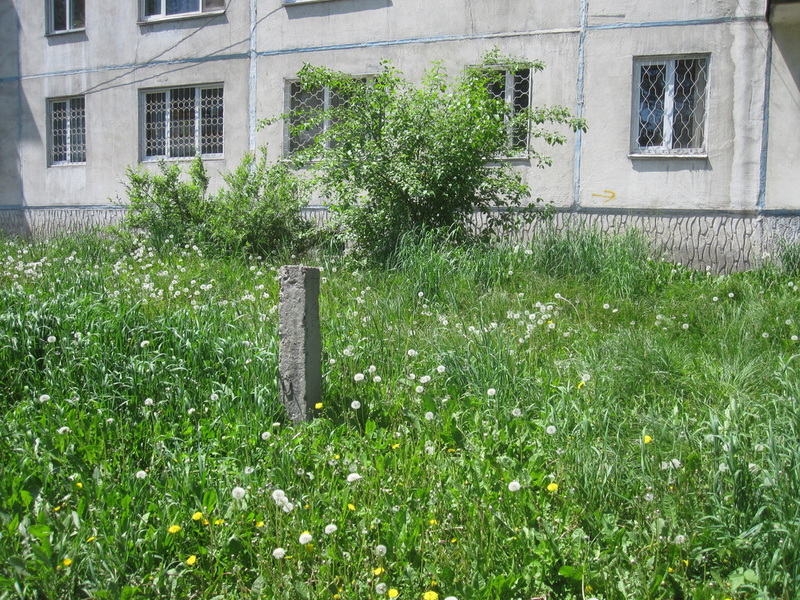 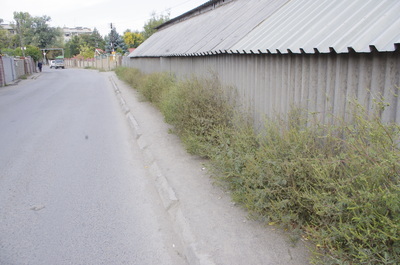 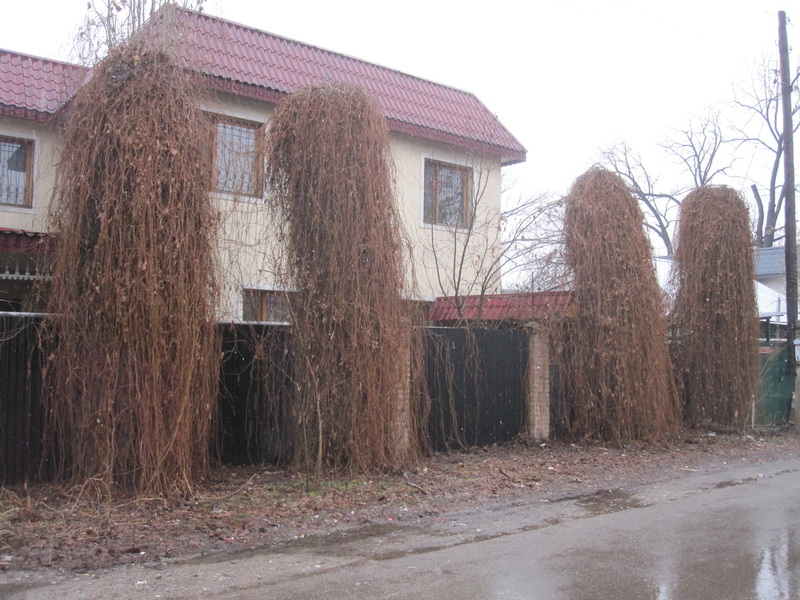 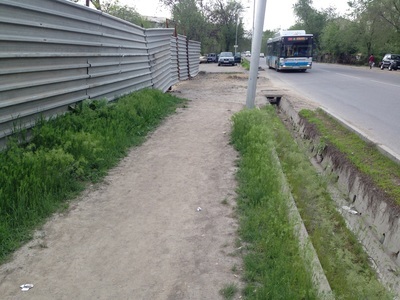 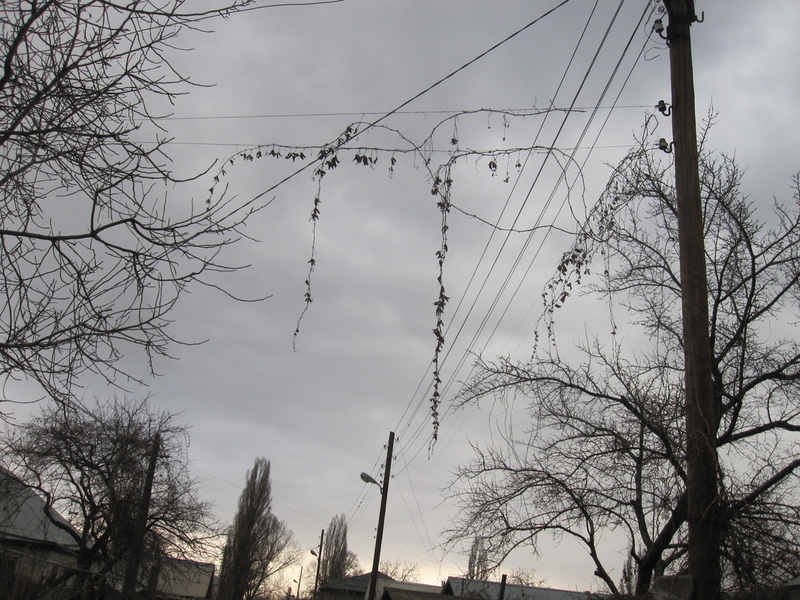 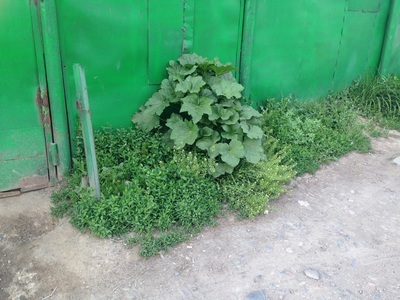 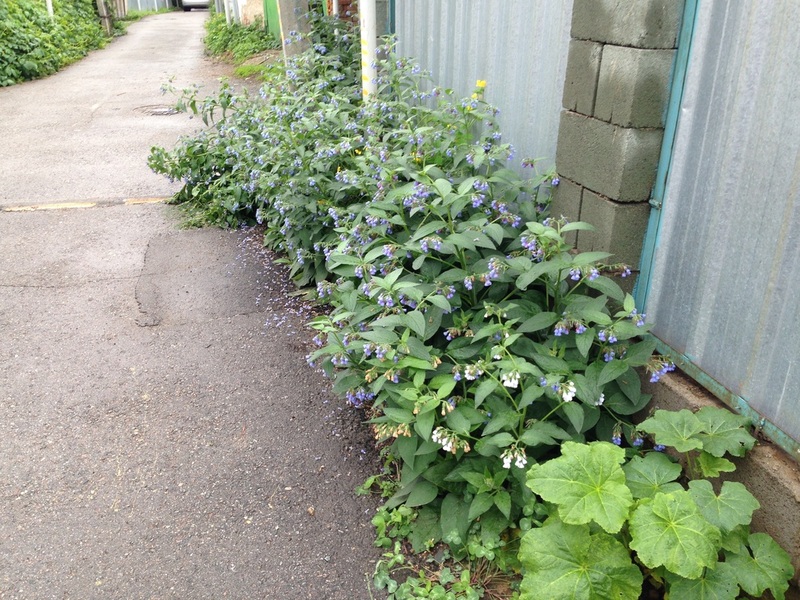 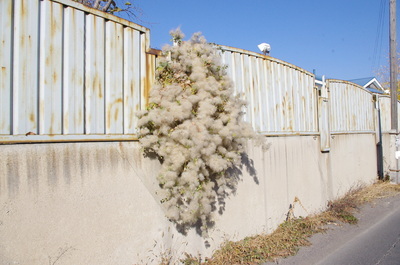 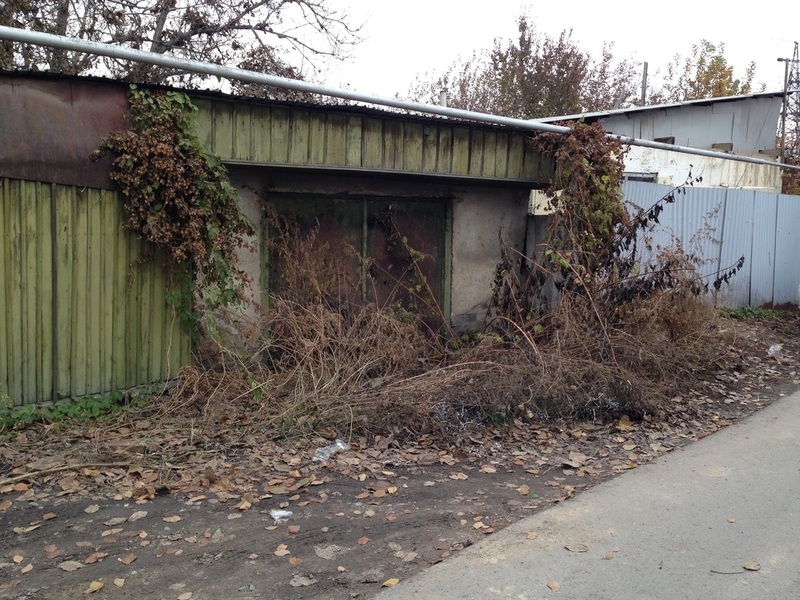 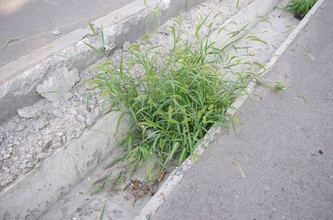 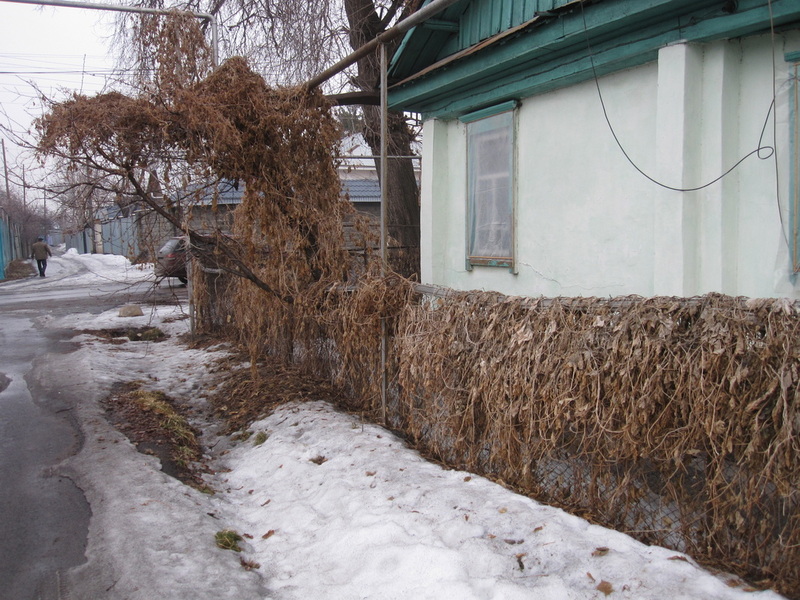 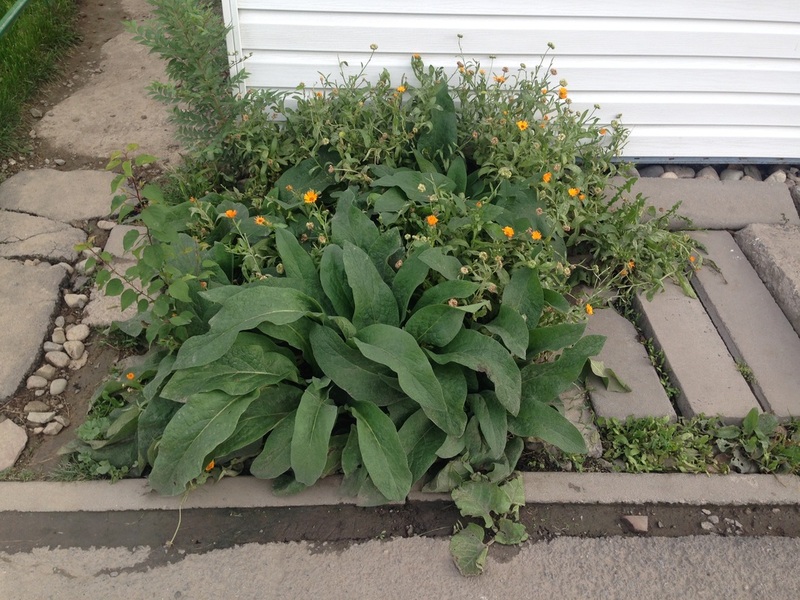 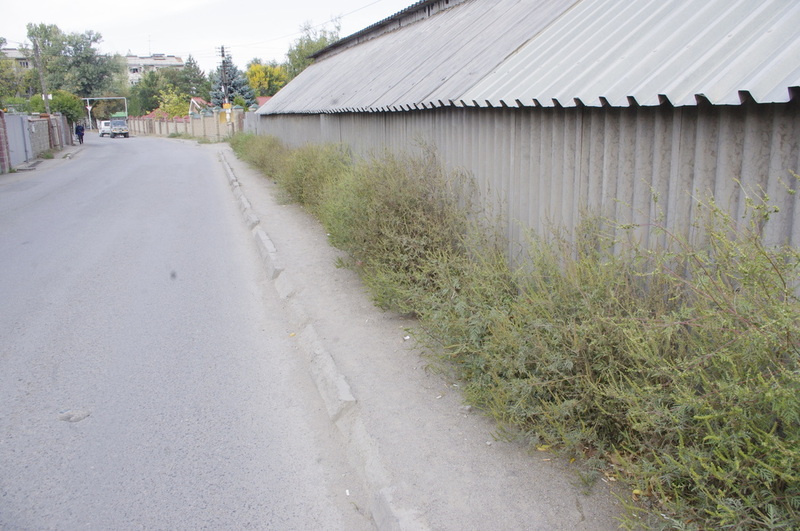 Almaty, long billed as a "Garden City", is better for its weeds. 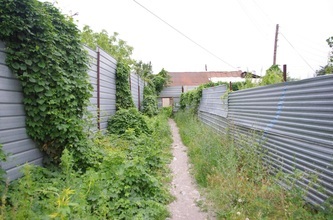 It makes the "garden" feel more wild, less forced and fenced in. 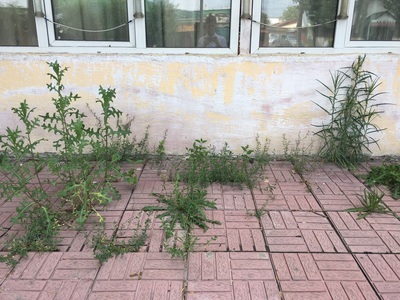 They pop up in sidewalk cracks, creep out the bottoms of walls, take root in aryks and canals, and colonize entire courtyards, adding vibrancy to surfaces that would otherwise be dead. 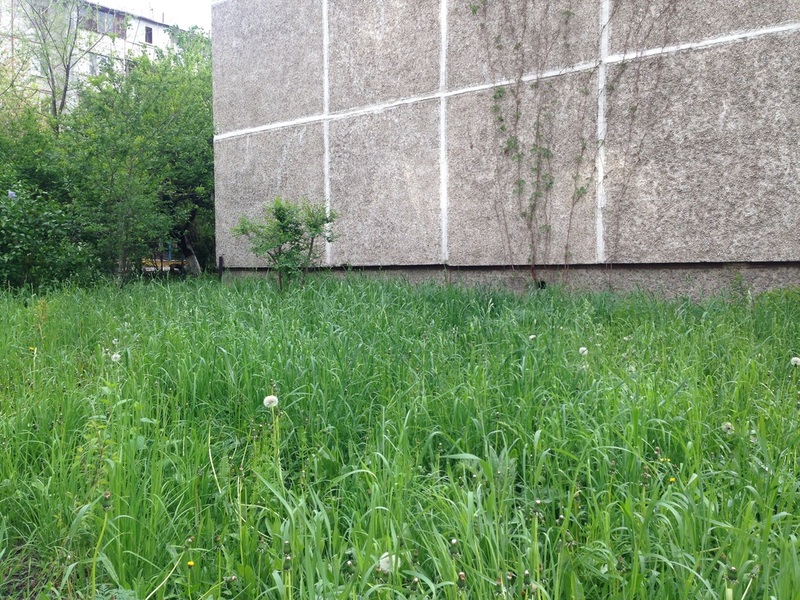 If the lawn, sheared short and tidily hemmed in, is an expression of modernist control, then the weed is a declaration of natural anarchy. A perfect poster child for Almaty's laissez-faire botany is its most common weed - wild cannabis. 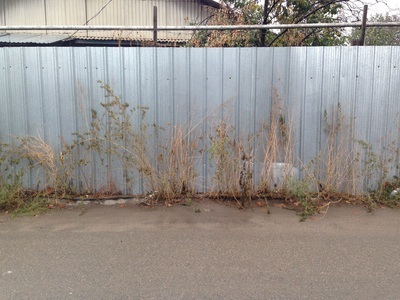 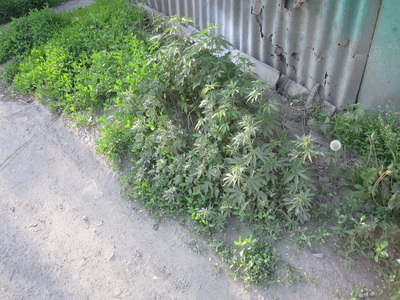 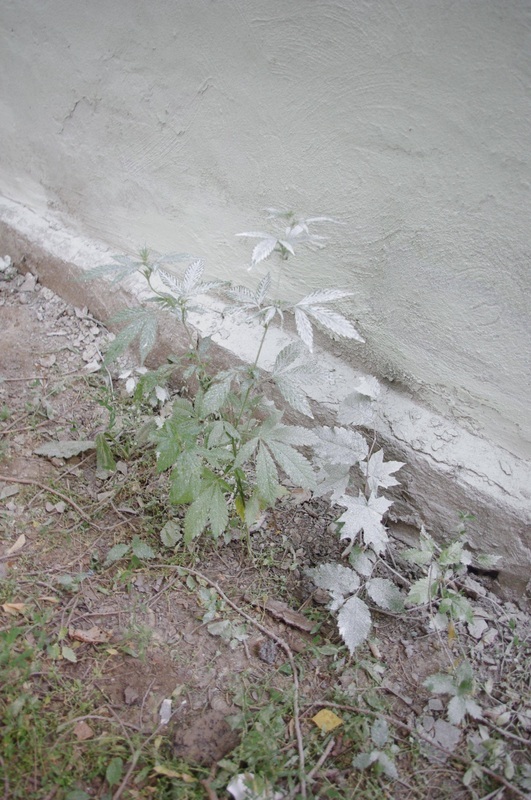 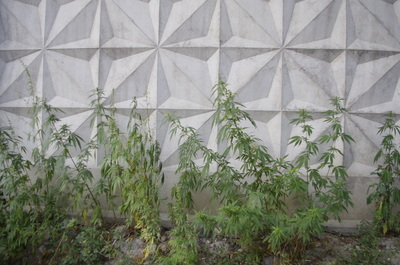 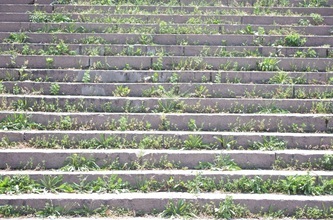 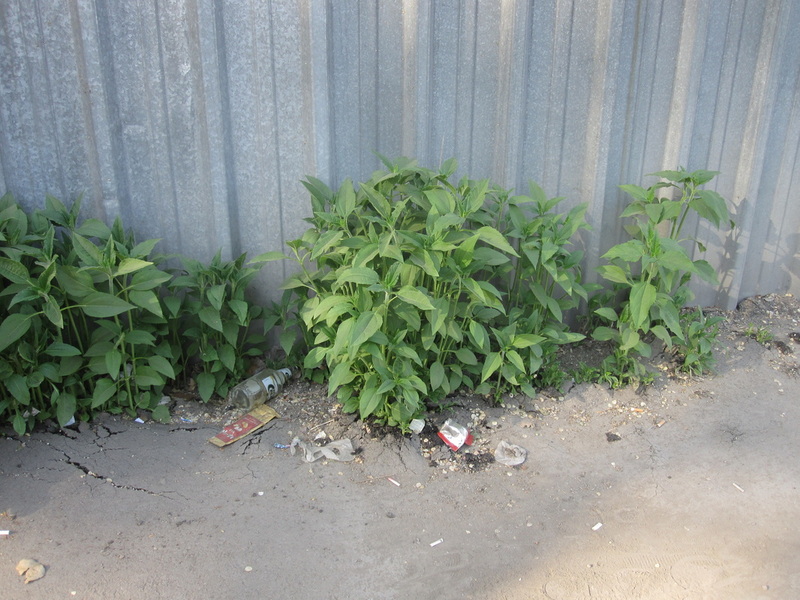 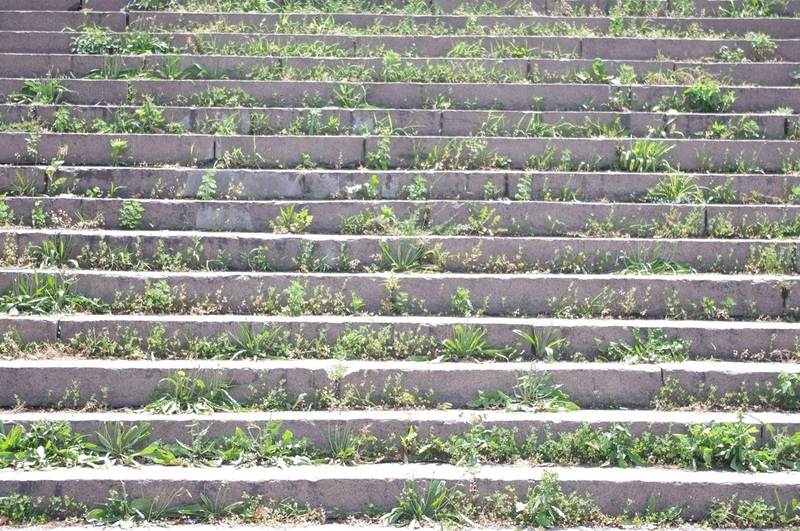 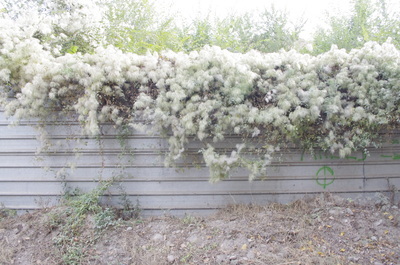 Yes, Almaty is so weedy that even weed itself can grow here and nobody seems to really mind. 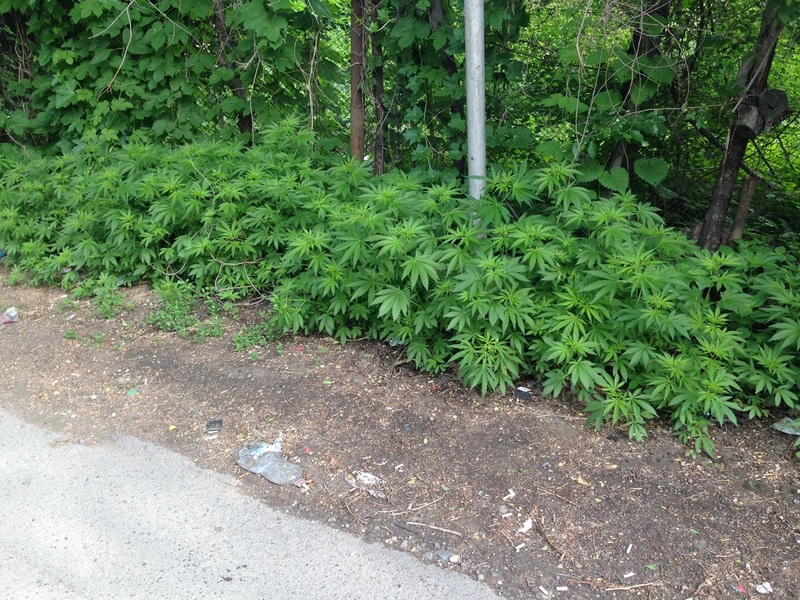 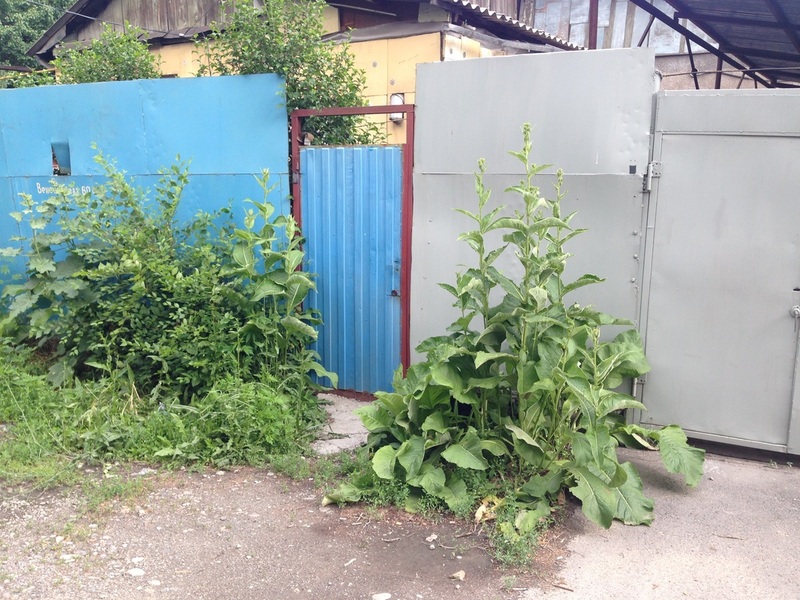 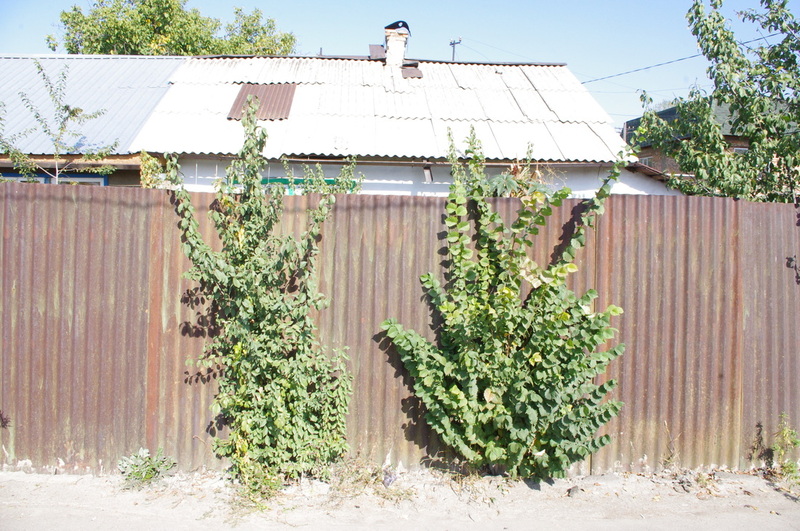 The cannabis plant [конопля; konoplya] can be found in even the ritziest of neighborhoods, but it's so low-grade that people seem to hardly make the connection between this spear-leafed invader and the stuff that gets you high. 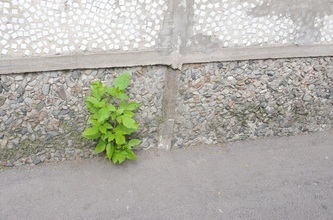 The potent stuff, by the way, is certainly well-known here. 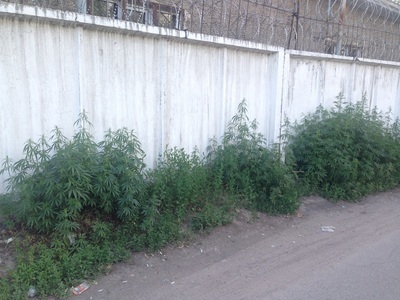 Kazakhstan has been posited as the birthplace of weed, and Chui Valley, on the border with Kyrgyzstan west of Almaty, is a pot paradise that's legendary throughout the former Soviet Union. There, weed grows wild in huge fields, but it's more productive than the Almaty varietal, apparently, because young men are known to walk through it naked, letting the plants' plentiful resin collect on their bodies before rubbing it off and pressing it into sticky clumps of hash. 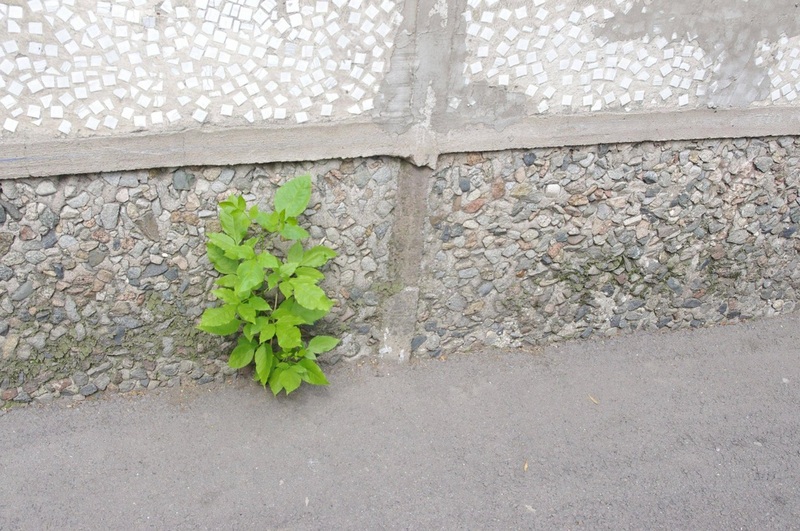 It's not the most appetizing origin story for something you're going to ingest, but Chui remains a killer brand nonetheless. 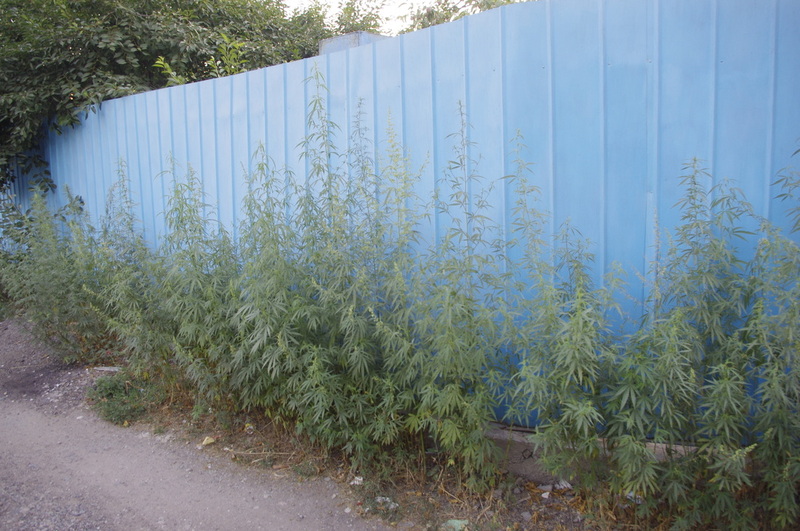 Yet while cannabis may have a powerful place in the local imagination, it's not the only scrubby plant that's known by name. A local once showed me a common weed he called strelka [стрелка], or "arrow", because at the end of every stem there's a spike of seeds like a head of wheat, and if you pluck it off and throw it you can aim it with an archer's precision. 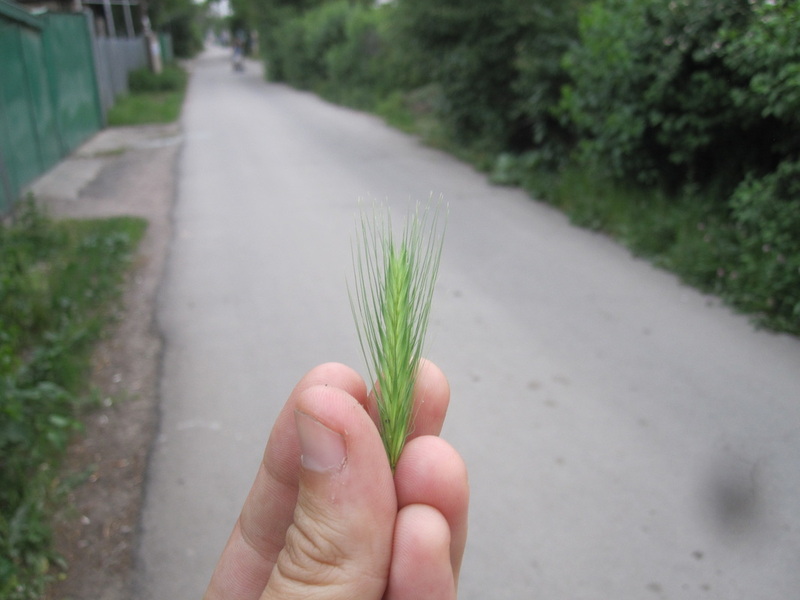 My students showed me another weed where, if you carefully peeled back the little flowers from their stems, you could shake the bundle in your hand and have it crackle like maracas. They'd nicknamed it kolokolchik [колоколчик], which means "jingle bells." An ethnobotanist might be able to dig around Almaty and fill a small booklet with these personal stories. 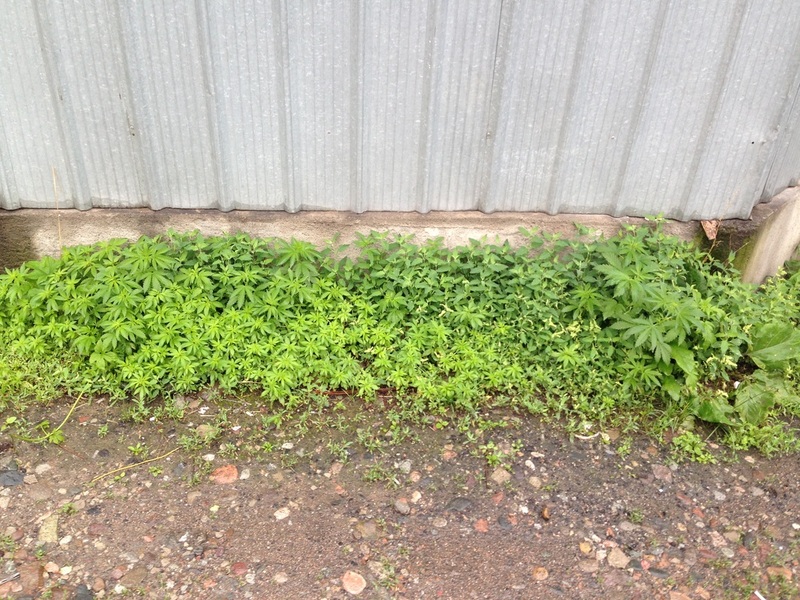 Seen in this light, the humble weed isn't a nuisance but a source of childhood delight. 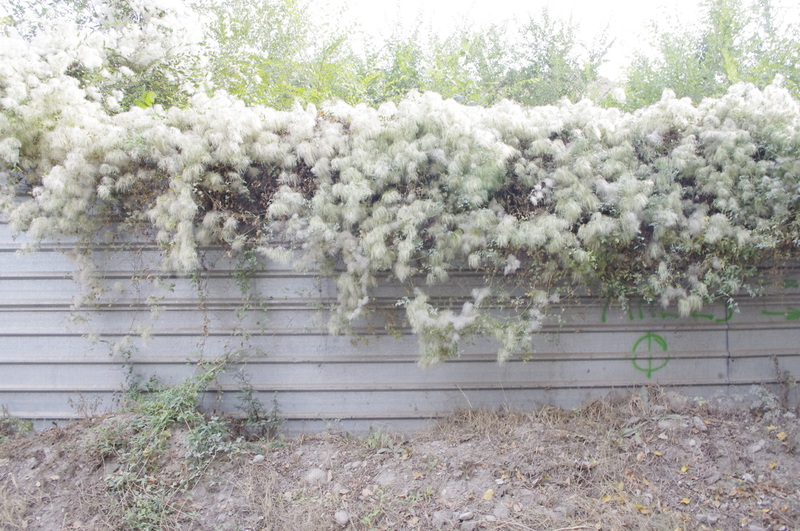 It's a thing that bears meaning, and it deserves no scorn.